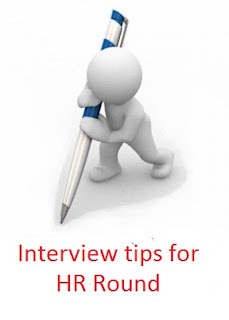 This blog provide most accurate tips and advice for job interviews such as tips for HR & Technical round and useful tips for body language during interview. This blog also provide information about interview preparation and mostly asked interview question with answers. A right tips with opportunity is very essential for getting a dream job. This blog post covers useful information about HR round such as tips for interview, interview question and answers for both fresher's and experienced, tips for body language during interview and others. (1) Wear formal dress for every interview process. (2) Always keep more than 2 resume, passport size photo, notepad and pen. (3) Be ready for first and sure interview question "Tell me something about yourself ". 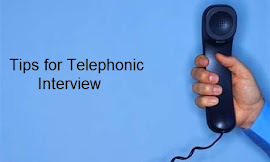 (4) Do not ask silly question, if interviewer provide you opportunity to ask. Accurate Interview Questions & Answers. This section includes mostly asked HR interview question and answer for fresher's and experienced. Many times HR round is enough for selecting a right candidate for job. So please do best performance in this round. Now a days, non verbal communication plays an important part in every interview round. Your body language during interview must be positive and effective. What To Bring To An Interview. No need to forget about some useful things in interview such as resume, notepad and pen. Keep more than two resume and your passport size photo. Difference Between Resume, CV and Bio data. Here, I am trying to write best answer regarding this question but I am sure you will not satisfy 100% with my answer. Why Did You Leave Your Last Job ? How much salary do you expect ? Do You Have Any Questions To Ask Me ?